What better place to start a new go at something than with an old standard? I've been enjoying Yeti in all of it's many styles for years, but I do return to the standard Yeti for the commonly great and consistent malt assault and nice and smooth, slightly bittersweet finish. 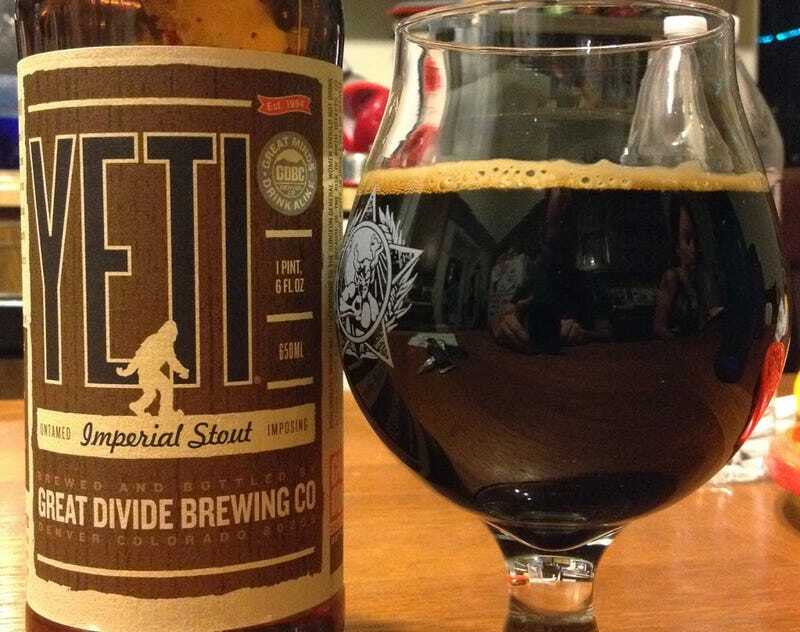 Yeti is one of those beers that I recommend based on a sole question: Do you like semi-sweet chocolate? If the answer is yes, then go for it. Dive straight in. Because it's a malty, slightly hopped version of that with alcohol. There are hints of coffee, and it's not as "death by chocolate" as Sierra Nevada's Narwhal, but it's up there. I come back to Yeti time and again for the price, availability and the consistency. And while Yeti does age nicely, it is quite nice when relatively fresh. Taste: Semi-sweet chocolate, heavy, dark roasted malts. Velvety, heavy mouth feel. Finishes: Smooth with a touch of bitter, very nice aftertaste that keeps you wanting more.